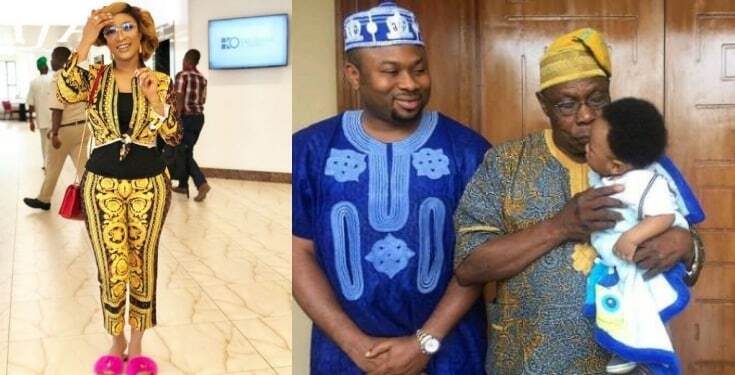 Nollywood actress, Tonto Dikeh who is a mother of one has claimed that the rumour that Olakunle Churchill was one of Obasanjo’s sons is totally false. She made this known after a follower mocked her for previously boasting about how rich her man was and how he was an ex-president’s son. 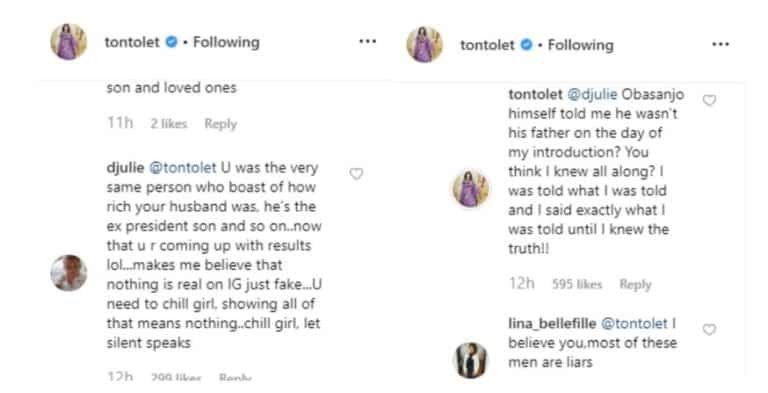 The follower brought the issue up in the heat of an allegation that the actress sold the N22 million Prado Jeep, Olakunle Churchill bought for her. She also revealed that since the allegation of selling the Prado Jeep was filed before the Inspector General of Police, her lawyers haven’t received any notice on the issue. This makes her to believe it is all a media campaign of calumny.